As the biggest telecom product provider in the world, Huawei has been developing their technical writing team for the past 15 years. The company has built a big team of around a thousand technical writers and translators. Two years ago, Huawei’s technical writing department started to arrange yearly information forums, called to highlight the recent trends in information development, technology, and communication. 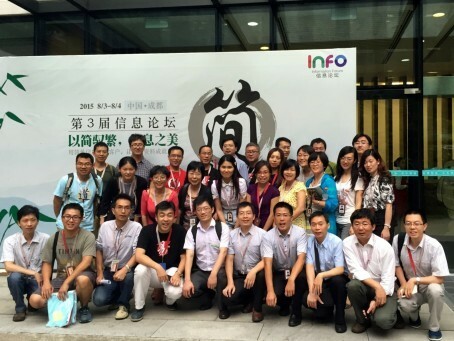 This year, the third forum was arranged in Huawei’s R&D center in Chengdu on August 3-4. Sigma and other companies (including local universities) were also invited, which made this year’s forum one of the biggest activities in the technical communication area in China so far. The forum focused on virtual reality technology, techniques to simplify the information content, and rich-media content creation. Nate Zhang, MD of Sigma Technology China, was invited as the honored guest. He gave a speech as the first lecture on August 3. His talk gave an insight on how to use new tools to develop visual information efficiently. Nate’s topic gathered a lot of interest in the audience, and many guests asked Nate about video creation and automation in content development. The questions were quite numerous, which led to a separate session by Nate after the forum ended. Around 30 Huawei experts came to learn more about technical writing techniques and share their ideas for the future development of technical communication in China. “I’m confident that the kind of information discussed at the forum will soon become of top interest in China, as many more people are joining the technical communication industry these days,” shares Nate.